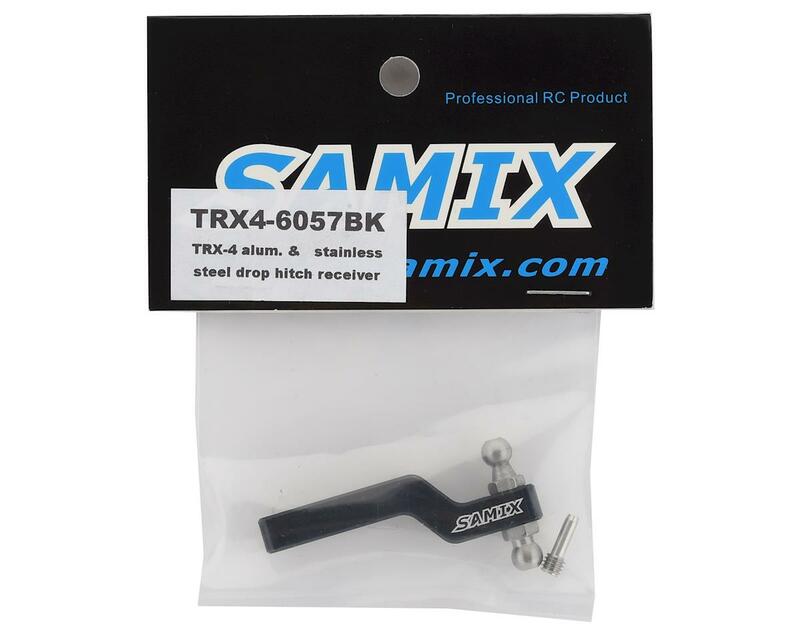 The Samix TRX-4 Aluminum Drop Hitch Receiver is an optional accessory for TRX-4 trucks. 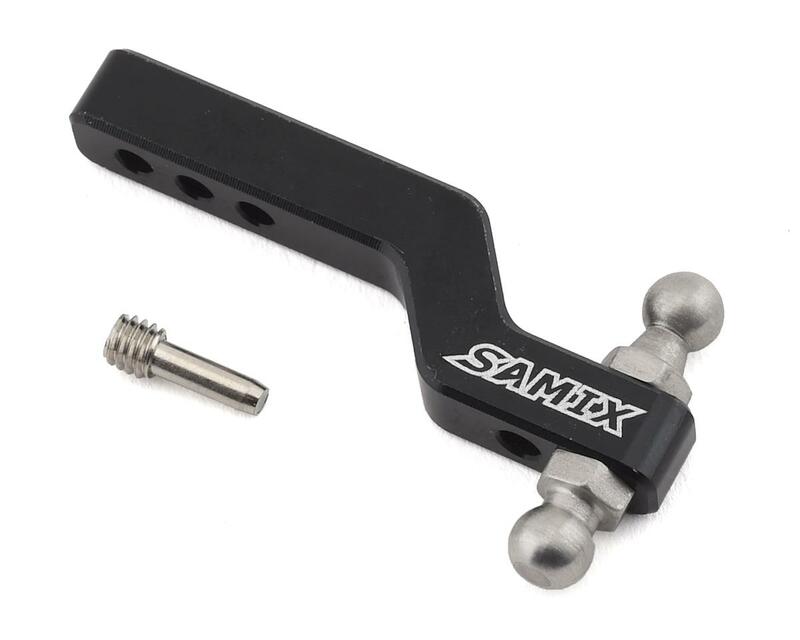 The receiver measures in at 6.75x6.75mm, so it fits the stock bumper and may fit others as well. The hitch design allows you to install it in a drop or raised configuration as needed to best suit your application.